The Commandant's Challenge was last week. provide the training required to produce Air Force Officers. in honor of both Fallen Americans and USAFA Graduates in order to instill a sense of pride, humility, and reverence in Cadets. 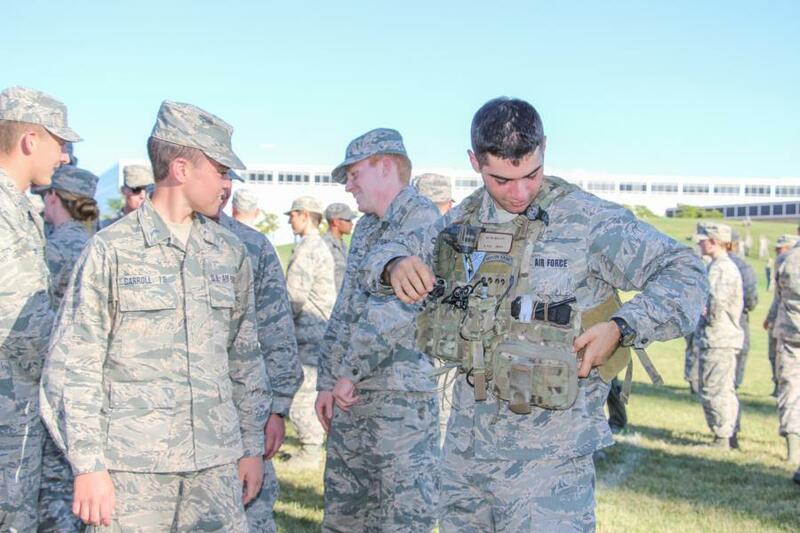 It additionally, provides an opportunity for Cadet Squadron Commanders to carry out their squadron’s preparation for Polaris Warrior Training events in order to provide Cadets with a shared sense of responsibility for training. The training plan provided wing-wide training activities Wednesday through Saturday. We covered as many events as we could, though some - like the CSL event took place all over Colorado Springs. Here's a highlight of some of the events we covered last week. The Wing Knowledge Bowl is a graded/scoring knowledge-based training and performance. It is centered on the 4th Class Cadets and what they have learned so far since they arrived here at the Academy. 4th Class Cadets had to answer questions about the Air Force, the Academy, Squadrons, past Exemplars, Aircrafts used in the Air Force, etc. 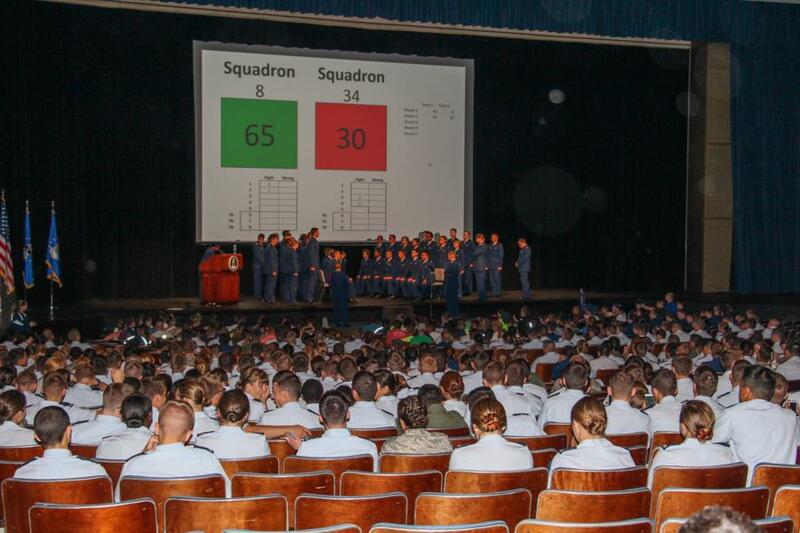 During the Event, two squadrons at a time stood up on stage and were asked the same questions. Whoever put their hand out first stood up to answer the question. If they got the answer right their Squadron was awarded 5 points. If they got the answer wrong, 5 points was taken away. There were 5 rounds of 5 questions each. The Squadron who had the most points at the end of those 5 rounds, won that battle. Below is a clip of the second Battle that took place Wednesday night between Squadron 13 and 24. Squadron 13 up until the middle of the 4th round was in the lead and Squadron 24 managed to answer every question they stood up for, correct. With one question to go in the 5th round - click the video to see the end result. 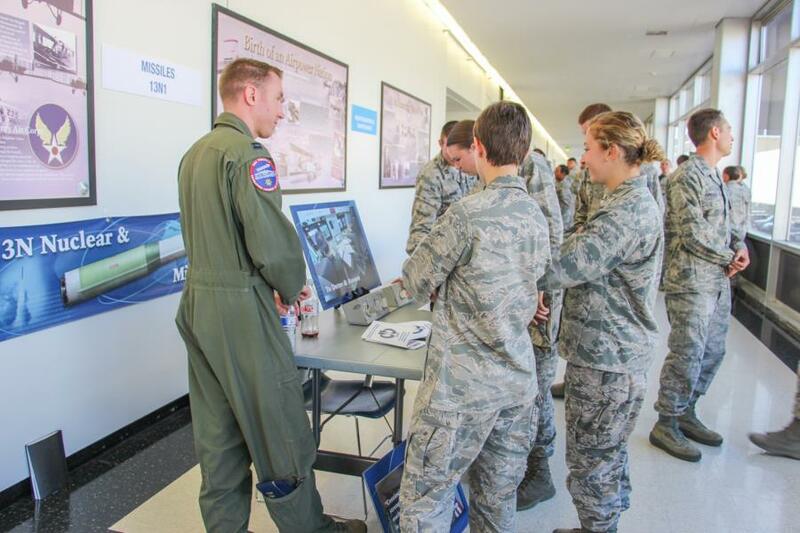 On Thursday the Academy held a Career Day in Fairchild. 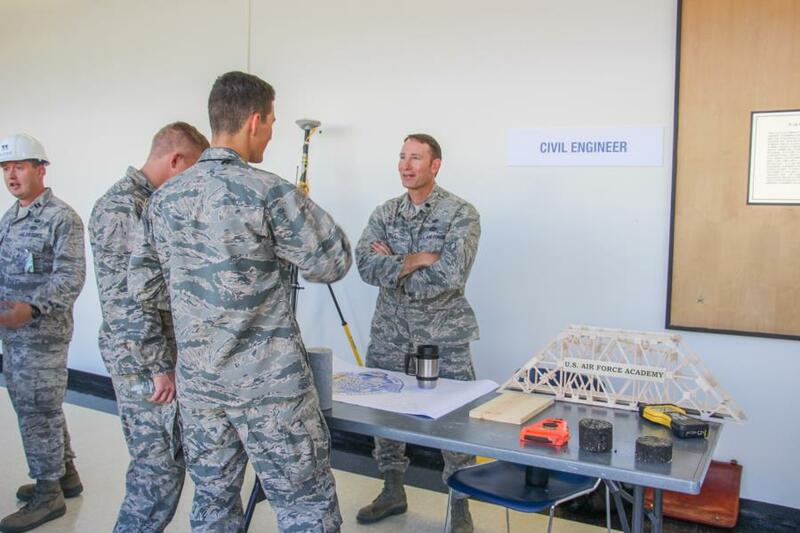 The Career Day was held in Fairchild and mainly centered around 3rd and 4th Class Cadets since most have yet to decide the career path they want to go into officially. Some of the many Career Paths the Cadets can choose from are Air Liaison Officer (ALO), Pilot, Developmental Engineer, Combat Systems Operator, Personnel, Cyberspace Operations, Airfield Operations, Remote Piloted Aircraft just to name a few. 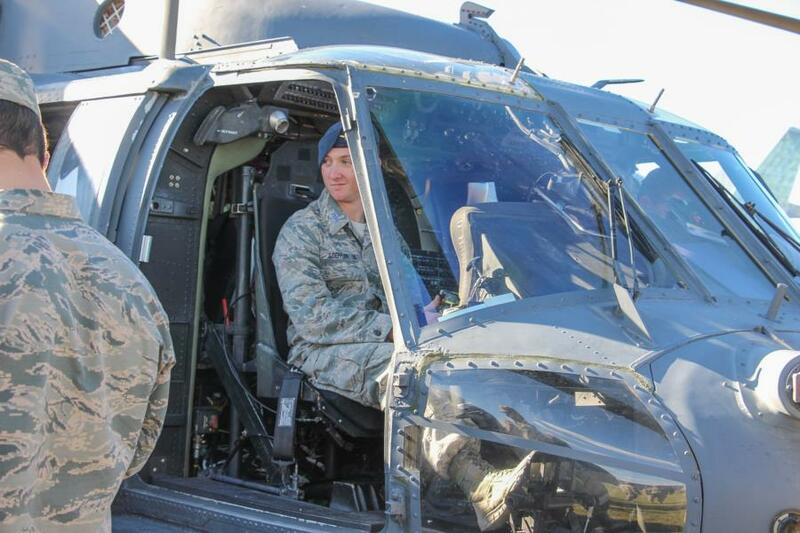 After the Career Day event took place, Cadets gathered on the Tzo for the Combat Search and Rescue (CSAR) Demo. On Friday the Cadets were involved in the Cadet Service Leadership (CSL) event. The Cadets travelled far and wide across the town of Colorado Springs. The Cadets are essentially doing community service/volunteer work with different places of business throughout the local towns. Since this event was so spread out - coverage was difficult. Saturday was the Wing Round Robin event. The mission of this event is for the 4th Class Cadets to get to know other squadrons in the wing, they are passed around ten squadrons, the staff of another group, and their home squadron, while being "challenged physically" at each station. Which basically comes down to three hours of physical training split up into about ten minute intervals among other squadrons. We sadly were not able to cover this event so definitely ask your Cadet how it was! To view the pictures taken from these events go to Galleries - Military Training - Commandant's Challenge.